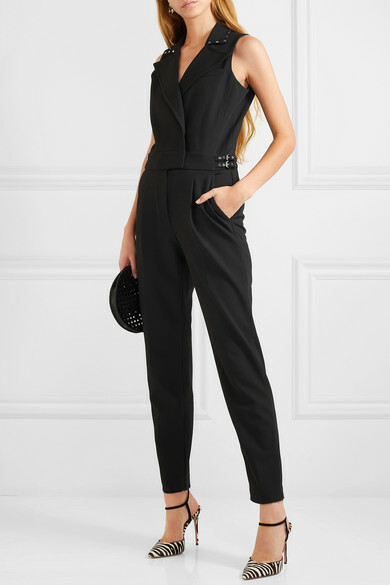 MICHAEL Michael Kors' black crepe jumpsuit is just as smart as a suit, without any of the effort of putting it together. 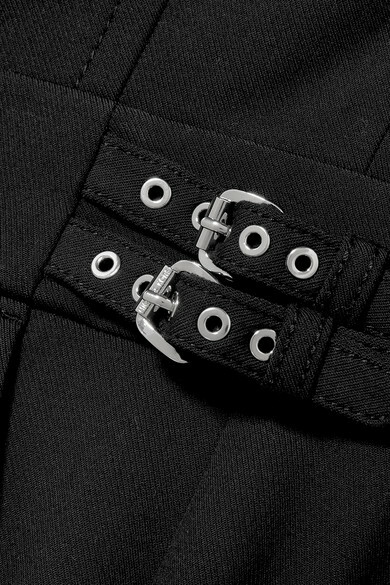 It's cut for a slim fit and detailed with silver eyelets at the collar and adjustable waist. Wear yours with this season's animal-print heels. 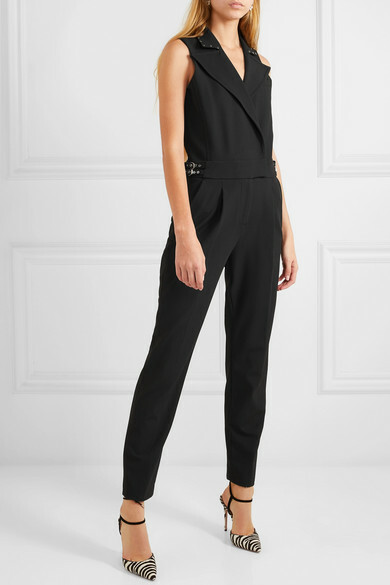 Shown here with: Elizabeth and James Shoulder bag, Aquazzura Pumps, Ariana Boussard-Reifel Earrings.